YOU WON’T LIKE US WHEN WE’RE ANGRY…ABOUT STIGMA. STIGMA SMASH is a catchphrase and hashtag coined by Hufsa Ahmad (Public Speaker & Mental Health Advocate). When we witness stigma, we get angry – just as angry as the Incredible Hulk. 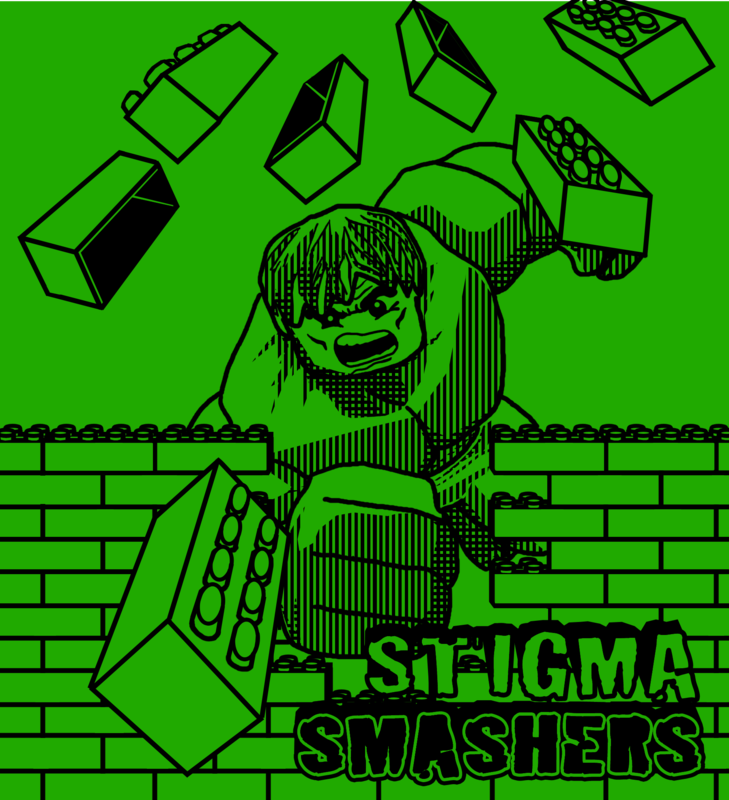 But when we see something combat the stigma of mental illness, instead of saying “Hulk Smash,” we yell “STIGMA SMASH!” (or, if online, hashtag it: #stigmasmash). Like “racism” denotes discrimination based on race, “stigma” means the discrimination and shame associated with having mental illness. We believe it’s wrong to discriminate based on having a mental health condition. Mental illness is chemical, it’s not personal. It is NOT something to be ashamed of. So, we fight to eliminate the stigma of mental illness! The “STIGMA SMASHERS” name was born when Hufsa, Team Captain, created a National Alliance on Mental Illness (NAMI) Walk team. 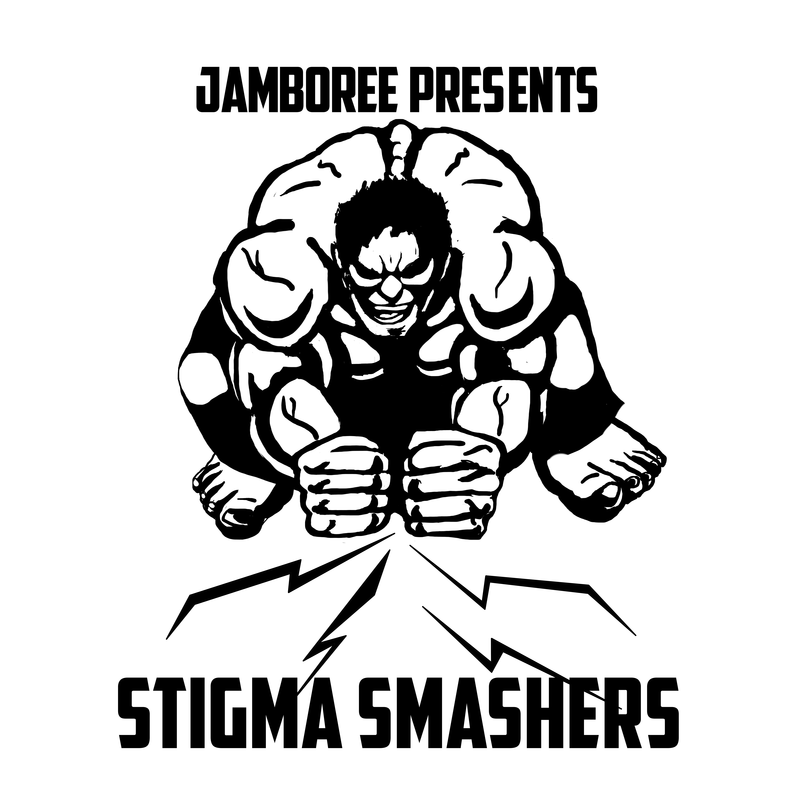 The idea of “stigma smashing” was related to channeling the Incredible Hulk’s anger into combating stigma. Instead of yelling “Hulk Smash,” however, we yell “STIGMA SMASH!” throughout the walk. Our team has grown to have over 50 members and raised about $25,000 for NAMI Orange County. We have been in the top 5 fundraising teams every year. Thank you to Jamboree Housing for sponsoring us! To book the founder of Stigma Smashers for a speech, keynote, interview, or more, Hufsa Ahmad, click here. To be added to this list, use the contact form here.